Few things are as frustrating for a loss prevention leader than discovering a bad packaging design they know will promote retail shrink— a feature which could easily have been prevented if those who created and approved the packaging had included shrink reduction in the initial design criteria. For example, in a store, an LP leader might find a multi-pack of six yogurts with the single-pot barcodes still clearly visible. The risk lies in scanning, either at the self-scan or manned checkout, the barcode for the single pot and not the multi-pack, leading to lost sales revenue on five yogurts and to shrink. With this frustration and thought in mind, the ECR Community’s Shrinkage and On-shelf Availability Group became motivated to produce the first-ever ECR anti-shrink packaging checklist. In this post, we share an overview of this checklist, how some retailers have taken this approach and applied it to their businesses to deliver results, and some ideas on actions you could take in your organization to reduce the frustrations of bad packaging design for future loss prevention leaders. These are just a handful of the required functionalities. At the same time, packaging needs to be affordable, so cost is an ever-present critical factor, and more recently, so is sustainability. Inevitably, these two demands can create tensions that can lead to loss. For example, it typically follows that when products are sold in smaller packaging, it will be less costly than larger packaging, while creating a smaller environmental footprint. However, this packaging will also be easier to conceal and thus potentially more vulnerable to theft. The intention of the anti-shrink checklist has been to make available to branded goods manufacturers, private-label vendors, and design agencies a generic list of twenty open questions to consider in the design of future packaging that would prevent shrink. The vision is that when the principles behind these questions are adopted and these standards are proactively applied to future packaging, bad packaging design then becomes less of a driver of shrink. Further, by seeking to focus on future designs, introducing these anti-shrink principles at the inception of new packaging can often be zero cost. There are three overarching principles underpinning the checklist framework. packaging that does not clearly communicate instructions on the correct handling procedures, leading to damage and loss. Are the barcodes on the primary, secondary, and tertiary packaging clear and unobscured? Does the product information print well on the chosen case and label materials? Are the barcodes, as printed by the manufacturer, of sufficient quality to be read by retailers’ technologies? In a not always well-lit retail warehouse, store back room, or retail shelf, could a busy and rushed retail employee differentiate similar but different shippers, cases, or products within five seconds? Have color coding and images been considered to better differentiate similar but different shippers, cases, or products? Are date codes easily identifiable and easy to read on shippers, cases, and products? For promotional and multi-pack items, has the risk of the retail store scanning the wrong barcode (for example, scanning one item or the single pack versus the multi-pack) been removed? Are the handling instructions (fragile, keep at certain temperature, and so forth) and the pallet-loading pattern clearly printed on the outer packaging? Protecting the product from damage is one of the most important requisites of packaging. To ensure that damages are not incurred, packaging engineers will put the intended packaging through rigorous ship and product-handling testing procedures. However, often these tests cannot exactly match the actual stresses and strains of the retail supply chain, stores, and curious consumers. For example, while products shipped to stores are designed to be placed in protective shipper cases, some retailers will choose to ship just single consumer units in plastic totes to stores to reduce inventory levels, damages in the back room, and loss. However, when placed in plastic totes, the packaging is placed under more pressure than traditional ship tests, especially if the packaging is put in the same totes as heavier items. Another example would be products shipped in cases that will then need to be broken down in the distribution centers into smaller cases. For example, a case containing 24 consumer units of shampoo has inside it four smaller ship-to-store cases of six. However, if in the process of splitting the outer cases into four ship-to-store cases, the employee needs to use a knife, an incorrect case design and not enough free space at the top can lead to a high level of damages as the knife meets the consumer product. Finally, while packaging designers do their best to communicate the qualities and content of the product, sometimes this is not enough. In the presence of doubt, consumers will often simply open the packaging to check that what they are buying is what they want. Once products are opened, these same shoppers will often buy the unopened pack next to it, leaving the package they opened vulnerable to the parts being stolen or simply not selling and having to be marked down or returned. Will the packaging withstand the intended and actual supply-chain journey from receipt at the customer’s distribution centre all the way to the shelf and back to the vendor (if returns are potentially a significant occurrence)? Is the product likely to be put inside a tote or stacked in the warehouse or store, and if so, will it remain undamaged if shipped in a tote or stacked? Are the instructions clear on how associates should open the outer packaging? Can the outer packs be opened easily without the use of sharp objects, which can damage some forms of packaging? Has the product packaging been designed to withstand any damages when placed on the customer’s fixtures and fittings, especially hang pegs that depend on a close fit with the packaging? Has the risk of the shopper opening the package—to examine, test, or steal the contents—been minimized through the pack design? For example, have clear windows or the use of hard-to-rip-open plastic packaging been considered for highly vulnerable items, such as high-theft products, items containing multiple parts, or products that have special fittings and adapters, such as electric items? Designers and brand owners invest considerable time and effort to create the most beautiful packs that shoppers, in focus groups and quantitative studies, claim to love. For the marketing team, this is their number-one priority, and large budgets are allocated to test that the descriptors, the imagery, and the colors are optimized. However, for store managers with products they know are attractive to thieves, their number-one priority will be to ensure that the product is protected from theft. Examples of high-theft categories include fresh meat, spirits, health and beauty products, confectionary, and electrical products. If product protection measures are not included in the product before it arrives in the store, the store managers will look to apply protection measures themselves. This adds complexity and extra time to the replenishment process, leading to the risk of empty shelves. Product protection measures a store manager might use include a soft electronic article surveillance (EAS) label, an EAS hard tag, an ink tag, a safer plastic case box, or an EAS-enabled device that wraps around the product. These measures not only make the pack less attractive to the consumer, but also can cover key elements of the design, such as the pack shot or the user imagery. Finally, if the store manager finds these measures too difficult or too lengthy a process to manually apply, and they believe they remain vulnerable to theft, they can take more drastic measures and place the product inside glass displays and cabinets or behind the customer service desk, inconveniencing shoppers and reducing sales. Do small, high-value items have sufficient packaging to reduce the risk of being too easily concealed by thieves? If not, could bigger and bulkier packaging that reduces ease of concealment be considered? For products that will have an EAS hard tag attached, is the packaging sufficiently robust to withstand efforts to rip the EAS hard tag off? For products that will have an EAS hard tag attached, is it clear to staff where to place such a device? For example, is there a pre-drilled hole to facilitate the application of an EAS hard tag? If a measure such as an EAS hard tag, an ink tag, a keeper case, or a wrapping EAS device (such as a spider wrap) are to be used, can its location be pre-identified to reduce the risk of product information being obscured and to improve the way it is displayed? If an EAS soft tag is to be applied externally to a product, will there be communication on the tag to amplify the risk to the offender of being detected, and will there be a place on the packaging near the barcode where an EAS tag can be placed without obscuring product information? If an EAS soft tag is to be applied inside a product and deactivated at the point of barcode scanning, will there be a notice on the artwork or on a sticker that can communicate and amplify the risk to the offender of being detected, and will it be located close enough to the barcode to ensure effective and consistent deactivation? While this set of twenty questions will be helpful in creating a higher level of awareness of the packaging measures that manufacturers can take to help prevent shrink, they are neither exhaustive nor indeed likely to be a perfect fit for any one category or organization. To move from a set of generic questions to a more granular set of packaging specifications, some retailers have put together a multi-functional team representing all internal functions (from the supply chain to stores to the sustainability group) and external providers (transportation companies, warehouse operations, packaging vendors, and packaging experts from branded goods manufacturers) to create their own set of packaging specifications. Using brainstorming techniques, this group can create and agree on a final set of approved packaging specifications. These can then be made available to buyers, who in turn can share them with suppliers, such as branded goods and private label manufacturers, who then share them internally with their creative design agencies. Thus, when new products are next submitted to a buyer, the buyer will have an expectation that the packaging complies with the previously communicated specifications. Target and Costco are two examples of retailers that have created their own set of packaging specifications. 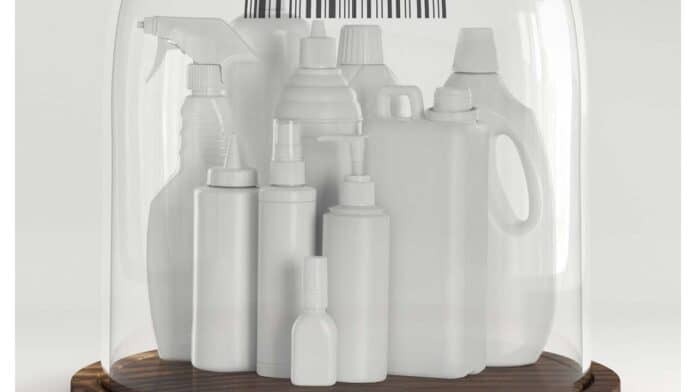 In the case of Target, the asset protection team focused their efforts on packaging specifications for the complex and dynamic cosmetics category. This focus and the subsequent checklist led to improved packaging. For example, on mascara from Cover Girl, new blister pack designs proved easier for the shopper to see what they were buying and faster for store team members to place on the right shelf, leading to more sales, fewer scanning errors at the point of sale, and more accurate inventory management. Costco adopted an approach that looked at packaging specifications for stores from many aspects, including pallet loading, the use of certain plastics, and packaging criteria they wanted to help protect their products against theft. These specifications, available on the Internet to download, are shared with their vendors, and compliance with these standards is expected. These are but two examples of retailers that have adopted a proactive approach to developing packaging specifications where shrink features significantly in the company guidelines. These cases inform us that when organizations create clear packaging specifications, encourage close collaboration between buyers and vendors, and have patience (some packaging changes can take two to three years to get to shelf), it can be possible to design shrink out of the packaging. How could you apply this thinking to your business? As a loss prevention leader, you may at times feel overwhelmed at the degree of difficulty you and your team would have to go through to positively influence other parts of the business to support packaging changes, such as the inclusion of EAS tags, features that can reduce damage, or clearer descriptors that could help reduce counting mistakes. Where do you get started? Here are three possible ideas to consider. Integrate “Shrink Thinking” into Your Existing Packaging Specifications. If your organization has already defined a work process and a set of packaging specifications led by the buyers but with goals such as sustainability or shelf-ready packaging in mind rather than shrink, integrating shrink specifications into these existing specifications could be the best way to get started fast. Kick off your project by finding the name of your organization’s owner of the packaging specifications. Once you have found them, engage them in a discussion on how shrink specifications can be added and how any of the existing specifications that could promote shrink can be adjusted to ensure that shrink does not increase. For example, moving away from plastic blister-pack packaging to recyclable cardboard materials could help the retailer improve sustainability; however, it could also lead to an increase in damages and theft. In this example, request that the specification be changed to reflect a requirement for high-theft items to move to more sustainable packaging that is also hard to rip open, difficult to damage, and when any product protection devices are added, they are hard to defeat. Establish Your Own Set of Anti-shrink Packaging Specifications. Following this strategy, where the loss prevention function would take the lead in establishing a set of specifications, will require more time and effort and consultation with a broader set of stakeholders to ensure that the organization is fully aligned. The starting point will be to establish the business case for change. This will need to quantify the current cost to the business of bad packaging design and the potential benefits of improved packaging. In parallel, you will need to define the work process and activity system that ensures packaging specifications are communicated to the vendor community and reinforced in discussions on new product introductions. Given that 90 percent of all communications with vendors go through the buying function, their involvement and support will be critical. Buyers will need to be motivated and see and feel the benefits of adopting the packaging standards. Only when the organization and the buying function are fully convinced of the benefits of better packaging will change happen and improved packaging reach the shelves. Focus on Better Anti-shrink Packaging One Category at a Time. This is likely the easiest way to get started if there are no company-wide packaging specifications. For Target, their call to action was the cosmetics category. In the case of a UK home improvement retailer, it was tile cutters. The approach to getting started on just one category is the same as if it were for the whole organization. However, at a category level, there will be fewer stakeholders such as buyers and vendors to engage, and the potential benefits may be easier to quantify and be more visible. For example, in the case of cosmetics, it was easy to see that the problem of poor differentiation between similar packs was leading to a loss of productivity and that the benefits of getting it right would be fewer out of stocks, more accurate inventory, and higher sales. For your organization, start by finding the category where you believe bad packaging design is a significant driver of loss and where the pain and the gain can be most clearly demonstrated. The ECR group would be happy to hear how some of you have taken some of the ideas here and put them into action. Perhaps one fun way to get started could be to organize a team competition to find the product in your store that could win the award for being the most frustrating. This anti-shrink packaging report is available to download for free from the ECR Community’s Shrinkage and On-shelf Availability website at ecr-shrink-group.com. This article was originally published in LP Magazine Europe in Winter 2016 and was updated March 6, 2019.